This timeline lists all of the graphical user interface environments that I have been able to find information about through my own research and on the Internet. I want to be as historically accurate as I can, however due to limited available information there may be some mistakes. See my notes section at the end for known inaccuracies. If you see an error and have additional information about it please e-mail me. April 1973, the first operational Alto computer is completed at Xerox PARC. The Alto is the first system to pull together all of the elements of the modern Graphical User Interface. The use of graphical windows. 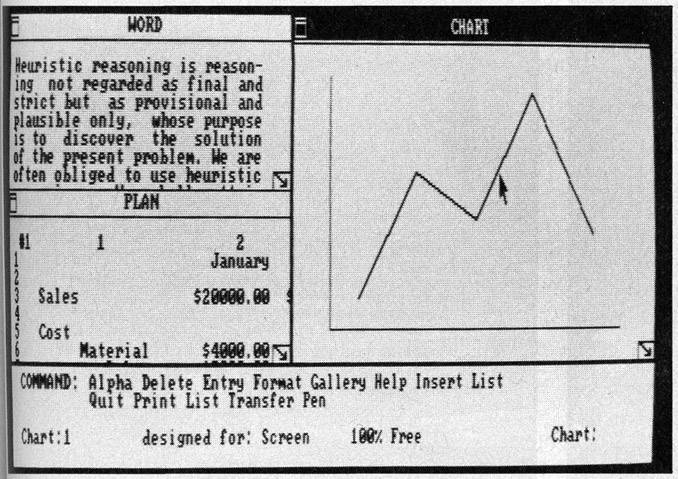 1980: Three Rivers Computer Corporation introduces the Perq graphical workstation. 1981 June: Xerox introduces the Star, the commercial successor to the Alto. Double-clickable icons, overlapping windows, dialog boxes and a 1024*768 monochrome display. 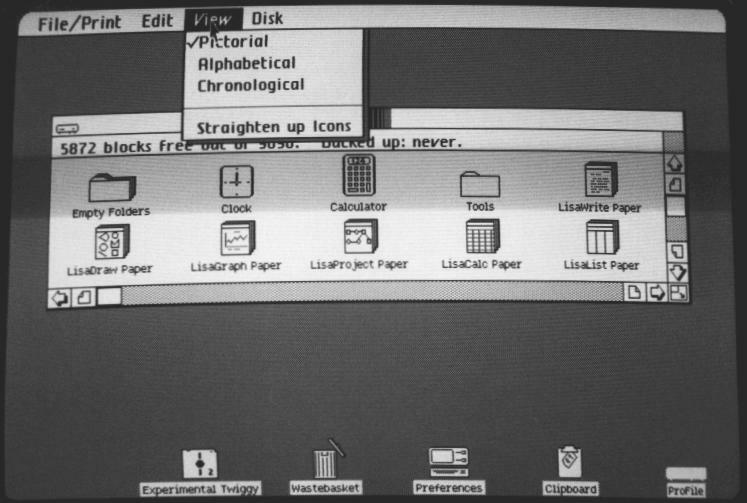 1983 January: Apple introduces the Lisa. Pull down menus and menu bars. Visi Corp releases Visi On, the first integrated graphical software environment for IBM PCs. Microsoft announces their new "Windows" program for the IBM PC but does not release it until 1985. Is supposed to have overlapping / resizable windows. January 1984: Apple introduces the Macintosh. 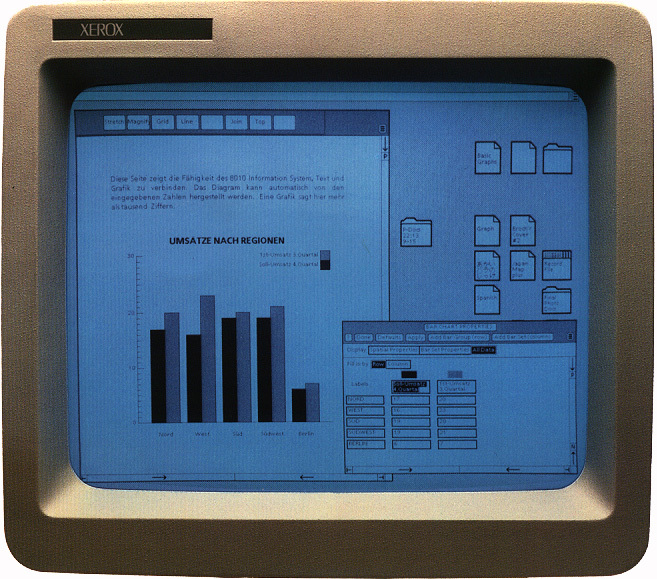 September: Digital Research announces its GEM icon/desktop user interface for 8086- and DOS-based computers. It also was later ported to the Atari ST.
June: "window system X" announced at MIT. Versions 1-6 were monochrome only, and ran on DEC VS100's displays connected to VAXen and VAXstations 1 and 2. Versions 8-10 dealt with color, for the VAXstation II/GPX. X10 is the first version that saw widespread availability and use on many vendor's systems.